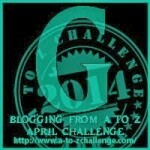 Today I continue the A to Z Blogging Challenge with the letter G. You can find all my A to Z posts here in case you have missed any. 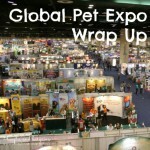 At the Global Pet Expo in March, I stumbled upon one very cool product (pun intended). There was even a live demonstration. With the (hopefully) warm weather of spring and summer upon us, pets and humans alike could always use an easier way to cool down. The Green Pet Shop makes the Cool Pet Pad, which provides a cool surface without any electricity or freezing. My nerdy side perked up when I heard that. No electricity? How does that work? 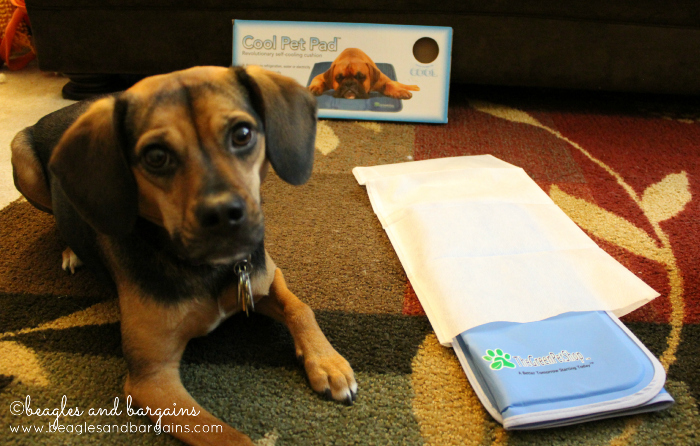 The Cool Pet Pad is pressure-activated causing the non-toxic gel inside to work immediately. The pad’s charge lasts for up to four hours and it recharges automatically with non-use. Although you don’t need to freeze the pad, you can supercharge it by sticking it in the fridge or freezer and it could last up to 6 hours. Although it is called the Cool Pet Pad, humans can use the pad too… as long as your pet isn’t using it of course! Luna was a little confused by the cool temperature initially, so it took some time for her to lay down all the way. We started with paws first and then moved to the whole pad. I just know Luna will love this mat when things finally heat up. Luna cools down on the Cool Pet Pad from The Green Pet Shop. 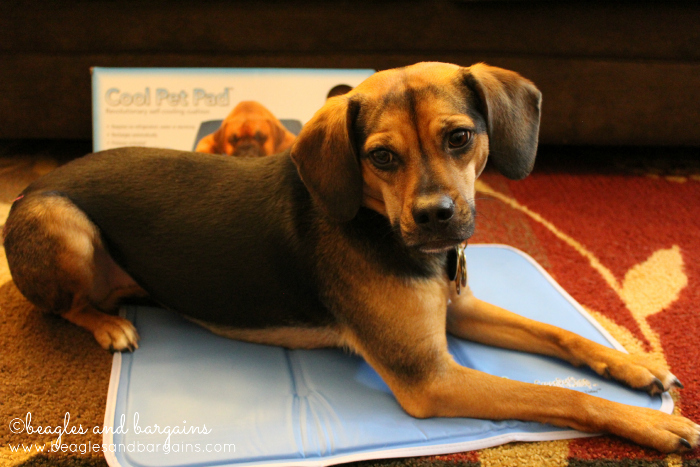 The Cool Pet Pad is great for travel because it can fold up to 1/3 the size and comes with a travel case. It is a bit dense, so it might be too heavy to take in a checked bag (unless you pack much lighter than me). The pad is made in a medical facility and is durable, but not chew proof. 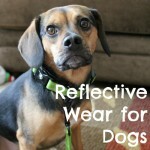 However, because the interior gel is non-toxic, no harm will come to your pet in the event they do chew it. 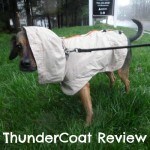 It is also water resistant and able to be just wiped clean. The Green Pet Shop Cool Pet Pad is packed up and ready to travel. 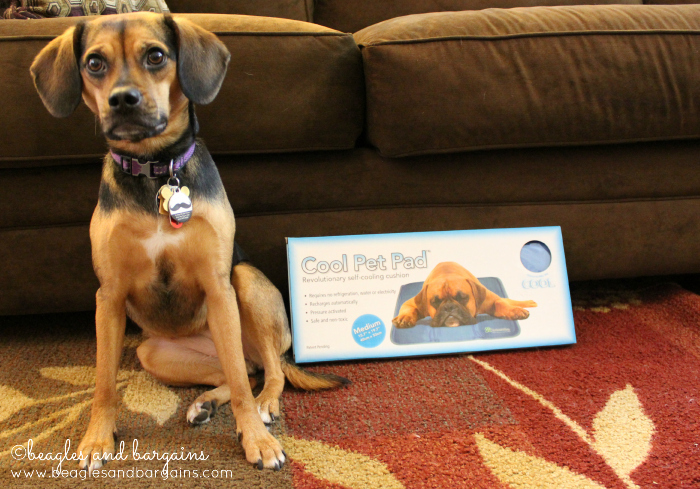 Luna has a medium pad, which is 15.7 x 19.7 inches and is recommended for dogs 25 to 69 lbs. Each medium pad costs $39.99. You can find out about the three other sizes on The Green Pet Shop’s website. In addition to the pad, you can buy an optional cooling pad cover to help protect the pad from scratches. A medium sized cover costs $19.99. How do you keep your pets cool during warm weather? 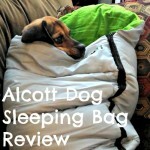 Disclaimer: The Green Pet Shop provided product free to review. 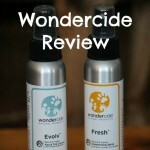 I received no compensation or additional benefits for mentioning the products in this post. The opinions and ideas in this post are my own and are uninfluenced by any other person or business.